Warehouse in a munitions factory. 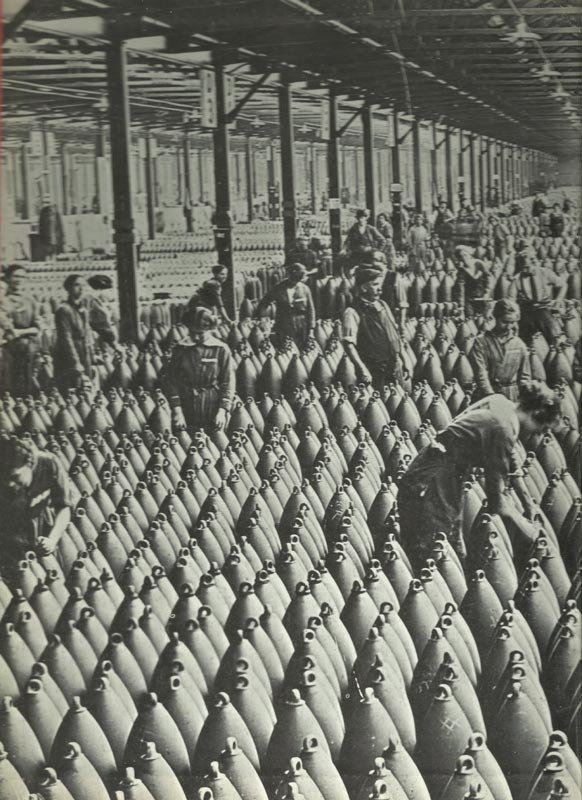 Britain: War Munition Volunteer Scheme begins, 6­-month posting in any firm chosen by Ministry. Joffre and Field Marshal French agree at Chantilly on Western Front primacy, reject passive defence as unfair to Allies, and plan major offensive for August. Britain: Conciliatory British memo to US on neutral trade. USA: 70,000 at National German-American rally, Madison Square Gardens, New York.